Take seven eager contestants, three feuding judges and one bewildered hostess, add flour eggs and sugar and mix together in a small village. 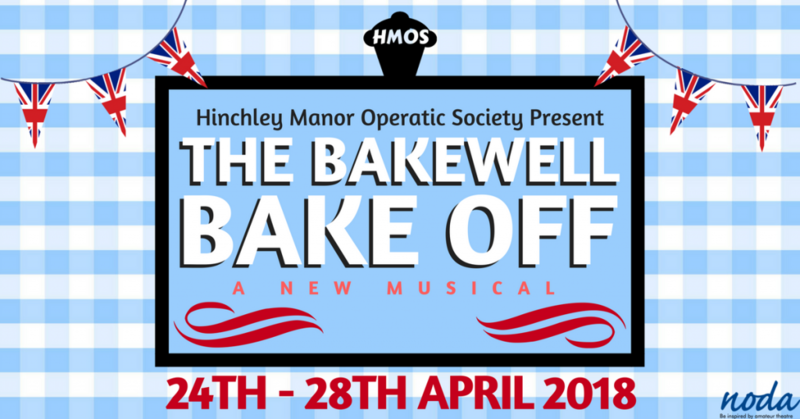 Add the pressure of a baking competition and you’ve got a recipe for a hilarious musical comedy! Come and join the folk of Bakewell for their annual bake off, where signature bakes combine with song and dance in a fantastic feast of fun! The small English village of Bakewell, Derbyshire is holding its annual baking competition, under the watchful eye of the chair of The Bakewell Baking Committee, Victoria Sponge. The eclectic group of contestants, including a local postman, a German transsexual and a nun, are each hoping that their baking skills will impress the judges. Judging the competition are the owners of the three village bakeries, each of whom claim to have the original recipe for the world-famous Bakewell Tart: Eton boy Hugh Dripp with his family’s Almond Topped Bakewell Tart; sweet and innocent Susie Sunflower with her Bakewell Pudding recipe; and finally, Griselda Pratt-Dewhurst, head of the Parish Council, with her Iced Topped Cherry Bakewell. This feud has gone on for generations, but this year the Bakewell Baking Committee has received a letter from Professor Lesley Kugelhumpf of the European Union, explaining that there can no longer be three recipes for “The Bakewell”. He decrees that a second round must be added to the competition, to resolve the matter once and for all. The ensuing combination of hilarious songs, baking disasters and even a little audience participation is guaranteed to put a smile on your face! NextTHE BAKEWELL BAKE OFF CAST ANNOUNCED! !